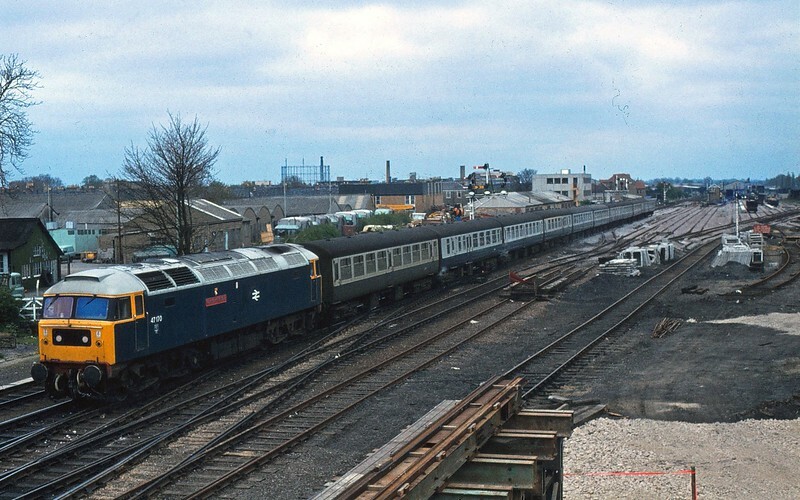 The view North from Mill Road Bridge in Cambridge on 4th May 1980. A Kings Lynn to Liverpool Street working is heading South behind 47170. Coldham Lane signal box can just about be made out in the distance.